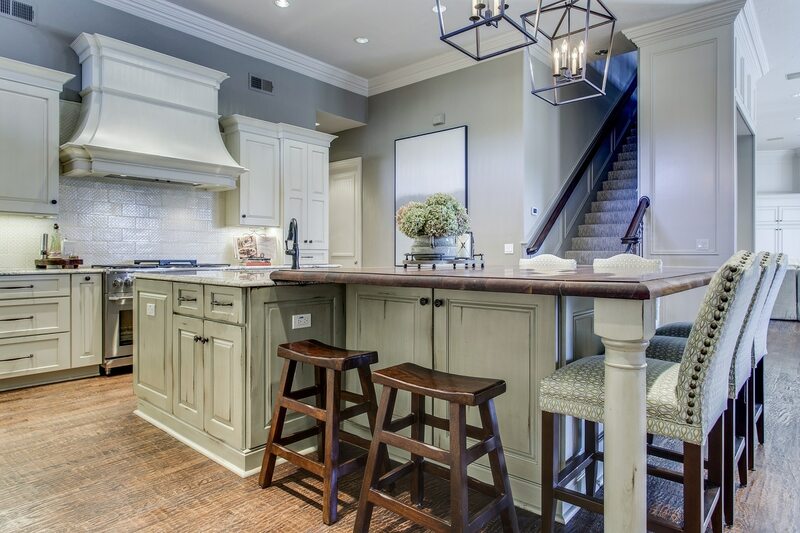 A kitchen island is a popular way to really utilize the space in a kitchen. Islands can hold many functions, provide extra storage, and can even be a place for seating. 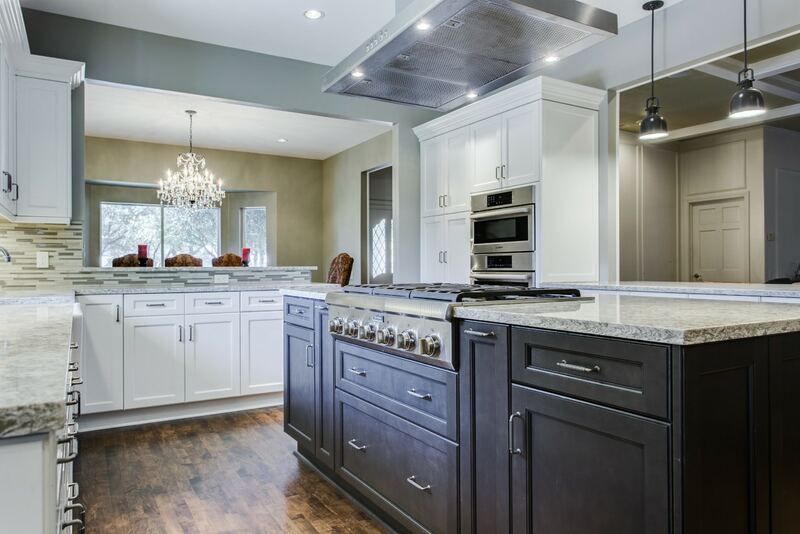 When we work with our clients, we are either adding functions to their current island or incorporating an island to a kitchen where space allows it. When it comes to aesthetics, there are many ways to be playful with a kitchen island. For instance, adding a pop of color, or utilizing a contrasting color adds interest to a space. Even incorporating a contrasting countertop is a smart way to add some pop! 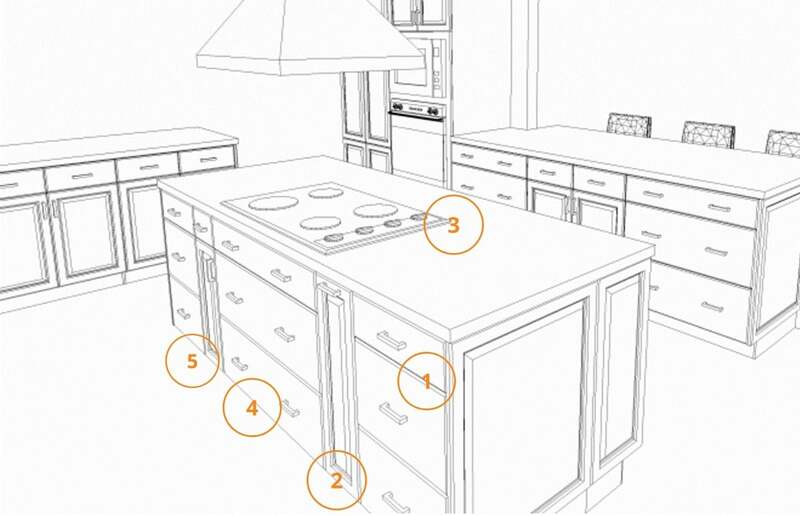 But when it comes to designing a multi-purpose island there are many things to consider! Take a look at our favorites below. 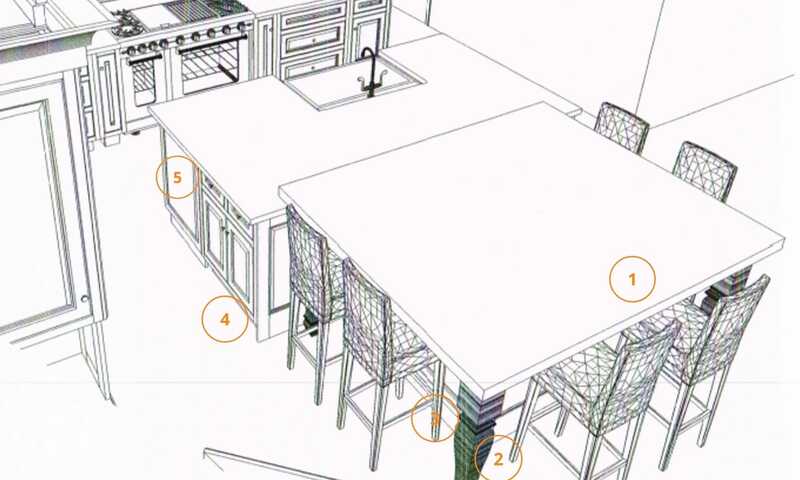 Seating is probably the most requested feature when it comes to kitchen island design. When measuring how may can fit comfortably at your island, simply take the length in inches, and divide it by 24” (ex. 96” / 24”= 4 seats). The countertop overhang should be about 12” deep so that people’s legs can fir comfortably underneath. To spiff up your island, and really add volume, incorporate decorative legs! Decorative legs can help your island look more like a furniture piece and are great for holding up countertops on areas where you have an overhang for seating. If space allows, we like to incorporate narrow storage (mostly on the back of islands). Narrow storage is good for items that you don’t need on a daily basis such as seasonal items (think Christmas platters etc.). Cabinetry with shelving can benefit from the addition of roll-outs! Things can get lost inside cabinets, but being able to roll out a tray, with everything on display, would be a wonderful addition to a kitchen island. Electricity may not be the first thing that comes to mind, but having an electrical outlet in your island is a wonderful convenience to have! 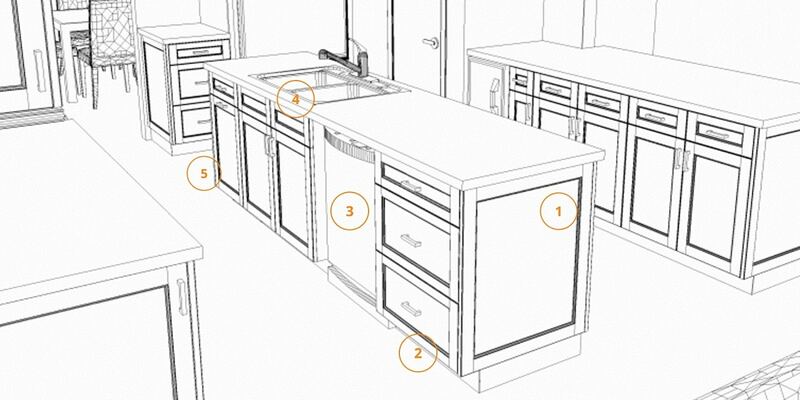 At times you may find that you have more room to work at your island, so adding that little extra electrical feature is just a bonus! Drawers are great anywhere, including kitchen islands! They provide great storage options for pots, pans, Tupperware, dishware, and much, much more. To ensure drawers functioning smoothly, incorporate strong glides that also has a soft closing function. A waste unit is a great addition to any kitchen! We like to keep the waste conveniently close to the sink so those extra steps can be eliminated. 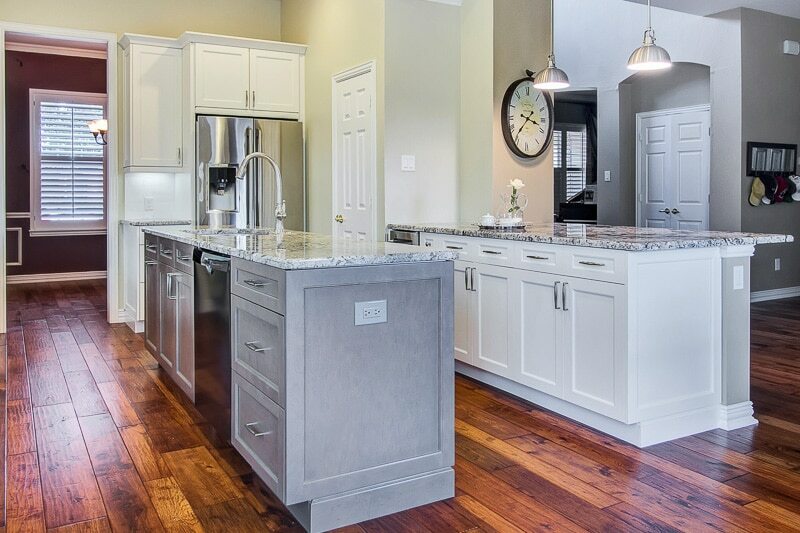 Incorporating appliances into your island is a creative way to divide up the functions of the kitchen. However, don’t overcrowd your island and be sure it works space-wise. Appliances to consider: cooktops, beverage fridges, single ovens, trash compactors, and microwaves to name a few. Pantry pull-outs are great, especially next to a cooking area. They allow you to organize all your oils and spices, which help make cooking a breeze! Tray dividers inside a cabinet are something simple anyone can incorporate. Keeping your trays and platters organized helps you keep your kitchen in good harmony.